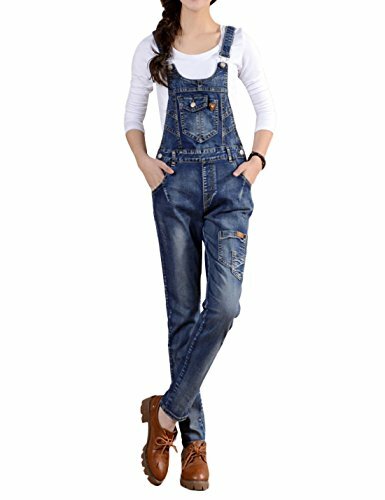 These overalls are the perfect combination of function and style. The many pockets allows you to keep tools close by when utlizing these jeans for gardening or painting. Achieve a throwback 90s look with a cropped white tee shirt and sneakers. Get creative for a Halloween costume and keep them for use all year round! 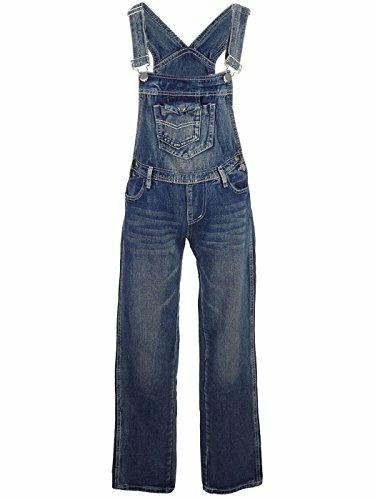 Color: Blue, Indigo, Light Denim, Off-white Material: 90% Cotton 10% Polyester Sleeve Length: Sleeveless Anna-Kaci's Satisfaction Guarantee Our designers strive on creating unique, fashionable clothing for women that is both high quality, and low in price! If you are not 100% happy, return your item and we will refund 100%, no questions asked. Who is Anna-Kaci? Located in beautiful California, Anna-Kaci is a trendy modern fashion company dedicated to bringing high quality apparel to women at an affordable price. 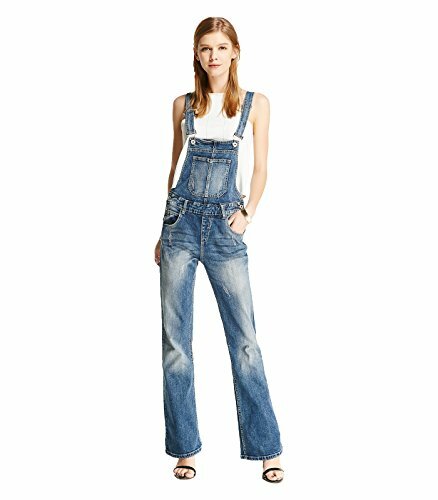 Please note: This overall is Slim Fit !! 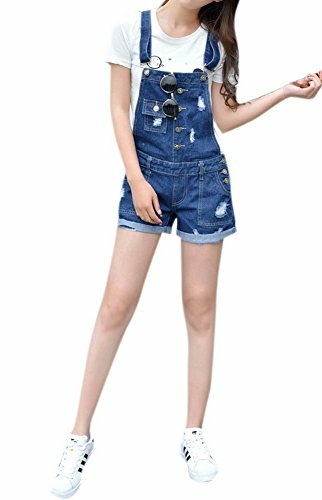 !SIZE CHARTXS--Waist: 25.98''(66cm) Hip: 37.00''(94cm) Length: 37.79''(96cm) S--Waist: 27.55''(70cm) Hip: 38.58''(98cm) Length: 38.18''(97cm) M--Waist: 29.13''(74cm) Hip: 40.15''(102cm) Length: 38.58''(98cm)Due to manual measurement, please allow 0.5-1 inch differ.Due to the light and the monitor setting, the color may be slightly different. Thanks for your understanding. If you have problems to the size or to the item, please email us freely. It's our pleasure to help you. 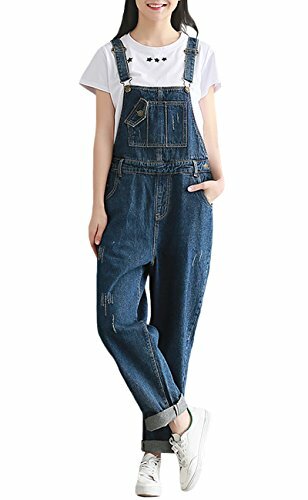 Detailed Size:Dark Blue:Size S:Length:45.66",Waist:29.92",Hip:37.00",Thigh Circumference:22.83",Pants Cuff:12.59" Size M:Length:46.06",Waist:31.50",Hip:38.20",Thigh Circumference:23.62",Pants Cuff:14.17" Size L:Length:46.45",Waist:33.07",Hip:39.37",Thigh Circumference:24.40",Pants Cuff:14.96" Size XL:Length:46.85",Waist:34.65",Hip:41.34",Thigh Circumference:25.20",Pants Cuff:15.75"Light Blue:Size S:Length:44.48",Waist:28.34",Hip:37.00",Thigh Circumference:22.83",Pants Cuff:12.59" Size M:Length:44.88",Waist:29.92",Hip:38.58",Thigh Circumference:23.62",Pants Cuff:12.99" Size L:Length:45.27",Waist:31.50",Hip:40.94",Thigh Circumference:24.40",Pants Cuff:13.38" Size XL:Length:45.66",Waist:32.28",Hip:42.51",Thigh Circumference:25.20",Pants Cuff:14.17"Warmly Note:Color Difference:We strive to make our colors as accurate as possible.However,due to individual monitor settings,we cannot guarantee that the color you see on your screen is the exact color of the product. Size Difference:This size information is just for reference only,and allow 1-2cm (0.4"-0.8") differences due to manual measurement. 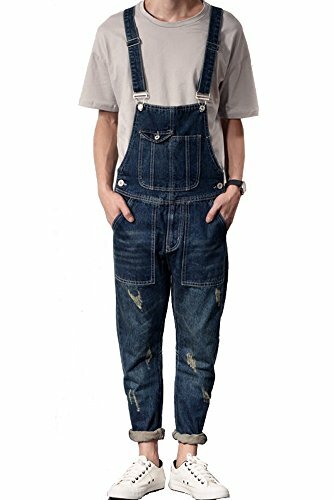 Twill short overalls with a multi pocket bib with logo patch. Traditional straps with clasp closures. Pockets on the sides and back with triple button closures at the sides. Vintage fit is slightly oversized. Looks great paired with crop tops. Tips ablout Jeans 1) Wash seperately, especially for the first time. 2) Add some salt in the water, soak the jeans in it for about half an hour. It can help solid color. 3) Wash inside out. 4) Dry in shade. 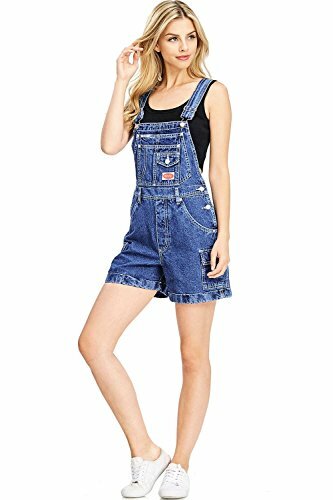 Get ready to make unforgettable memories while rocking these classic shortalls designed with premium denim for a comfortable all-day feel. 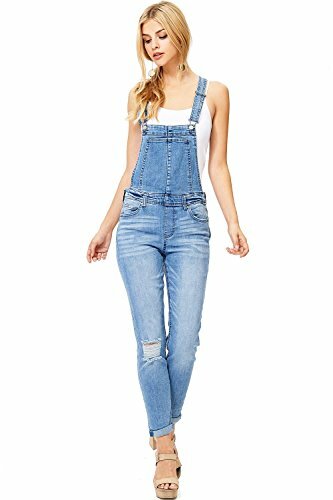 Vintage style denim overalls with a folded ankle length and slight slouchy fit. 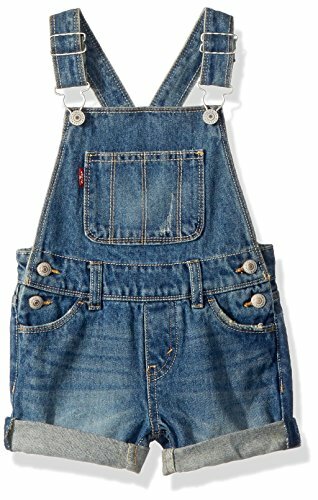 Classic bib construction with centered chest pockets and adjustable buckle clasp straps. Pockets on the sides and a zipper closure to the side. Comfortable denim with a stretchy fit.